Its coming up to northern hemisphere winter and a lot of people might be in the market for a new splitboard so here is my 2 Cents on Rossignol’s first splitboard. I must say that at first I wasn’t totally sold on the brand and I think my mind could only bring up “Don’t they make Skis?”. Even after hearing more from the guys @ Outside Sports I wasn’t entirely convinced. 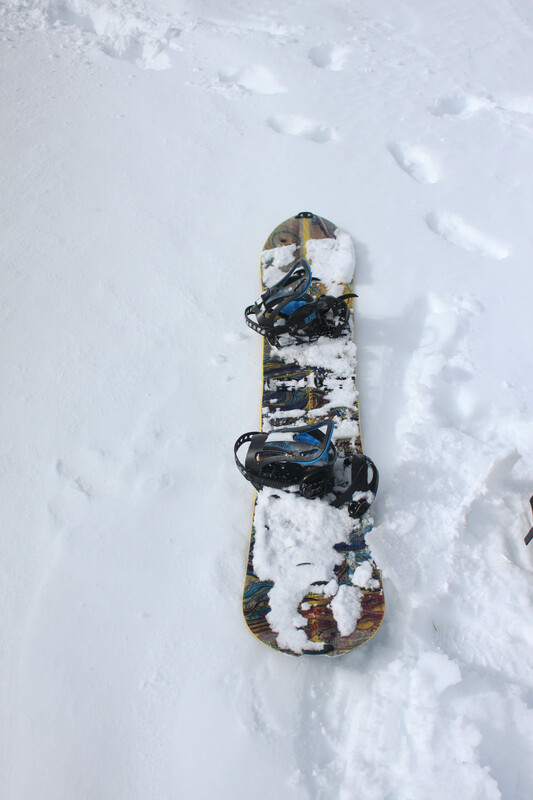 I felt I had gone far too long on my first splitboard and was in the market for something smaller with camber which doesn’t really seem to be in fashion these days. After seeing a spec sheet and finally getting a chance to look the board in person in early may I bit the bullet and dropped some cash on it. I totally loved the cloth bag it comes in and it will be getting stored in it over summer for sure. It’s a nice touch that I haven’t seen before. The first thing I noticed about the board was its huge rocker nose and ever so slight swallow-tail which even if it adds nothing to the ride looks pretty rad! The camber section is also fairly raised and when weighted really pops that big nose up. My immediate thoughts on it was that it would be a great powder board. First run on it was on super variable early season on piste conditions at Coronet Peak, a mix of man made and natural with tussock poking thorough, My legs weren’t up to the task of riding at this stage but I was quietly impressed. The major revelation came a few days later after a big early season storm put plenty of snow on the ground. The first few runs felt ok but for the 3rd one I skinned up to nearly 2000m for a nice long run through dry wind drifted pow and the board finally clicked for me. Effortless to turn in the bottomless snow and the nose floated so perfectly. It was easy to throw about despite its size and had decent pop. I think I fell in love. Every powder day since then it got better. The thing that has impressed me most however is its performance in variable conditions. Fluffy dry powder falling straight out of the sky isn’t a very common occurrence in the mountains here and more often than not its heavily wind affected snow, boiler plate, rime crust, sun crust, you name it you get it in one run. But the XV charges it all. Even now as we haven’t had a decent freeze/thaw cycle in a few weeks it cuts huge trenches with ease through the rotten slush. The Magnetraction is a bonus and is the first board I’ve owned with this Sidecut and in a few instances I’ve been very pleased with how it holds an edge when riding but I find it does nothing to my downhill board half when skinning. Skinning wise the touring bracket is well placed over the camber section and engages the edge well for side hilling and I personally find the camber is much easier to skin with than the rocker boards. My only gripes with the board being the placement of the Chinese hooks right on the rise in the nose make it hard to rotate them in however I don’t bother with that all the time so it isn’t a massive issue. The top sheet seems to damage easily as well however so far this is only cosmetic. I’ve heard from others with the board there can be issues with the gaps along the inner edges when joining the board halves however mine seems fine but it might be something to check with if you are interested in buying. 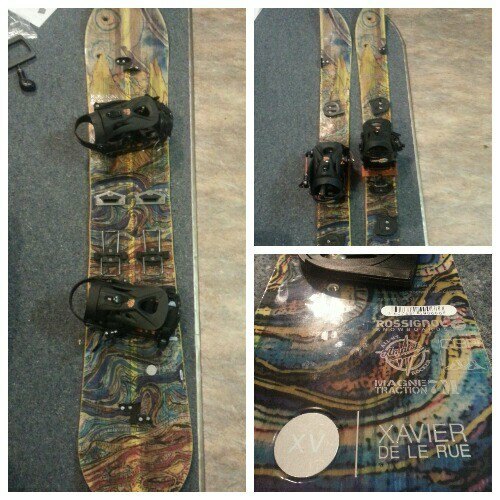 Being Xavier de la Rue’s pro model it was always going to be a great freeride board and my guess is the similarities between European alpine conditions and New Zealand conditions is what make this board a great option for splitboarding in New Zealand. This entry was posted in Gear Reviews and tagged backcountry, powder, rossignol, snowboard, Snowboarding, splitboard, splitboarding by splitboardnz. Bookmark the permalink.